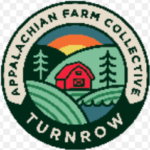 Turnrow Appalachian Farm Collective Is an online market that “gives customers access to locally grown food from producers across Southern West Virginia… You can purchase a variety of products from many different producers, while we organize your order and deliver it to one of our convenient pick-up locations in Charleston, Lewisburg, Talcott, and Union.” If you are interested in this service, you can sign up here or check out the Vernal Vibe Rise Producer Page for more information. Although Vernal Vibe Rise is not selling product at on-site farmers’ markets, the below markets are those with which VVR has been affiliated in the past. If you are accustomed to buying VVR products at your local market, please CONTACT me for information about home delivery options instead. Thanks! Wild and Wonderful Indoor Winter Farmers’ Market offers Greenbrier Valley consumers a great option for on-site farm-to-table shopping during the winter months. The Market is located in the Gus Douglas Building at the West Virginia State Fairgrounds in Fairlea, and is open from 8:30 am until 1:00 pm every Saturday.